Therapy brace assists in all stages of the healing process. 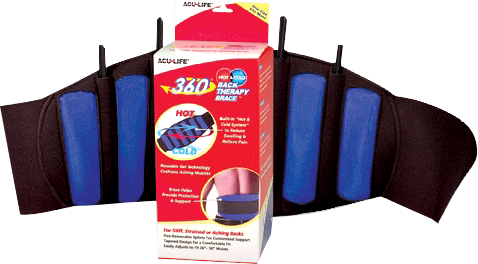 The hot and cold system makes it easy to apply targeted warm or cool therapy through a built-in gel pack that is freezable and microwavable. Therapy brace helps reduce swelling, relieve pain and increase flexibility. Gel technology also helps cushion aching muscles. Features five removable splints to customize the individual level of support. Includes an extension strap for fitting ease.